The RAND Corporation’s National Defense Research Institute has prepared a study for the DOD entitled What Should Be Classified. The study seeks to outline a comprehensive framework for classification decisions, and apply the proposed standards to the DOD’s Global Force Management Data Initiative. Meanwhile, Issa has continued his assault on Janet Napolitano’s Department of Homeland Security over allegedly filtering FOIA requests through political appointees. In his Tuesday letter to Napolitano, Issa claims that DHS’ behavior in response to these claims “raises questions about the department’s commitment to the president’s effort to create ‘an unprecedented level of openness in government.’” DHS denies the allegations and claims to be complying with Mr. Issa’s investigation. 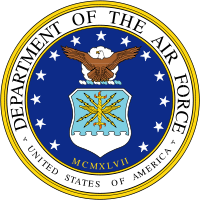 Wow, the guidance to Air Force employees (and family!) is rediculous! Talk about big brother and censorship, even on personal computers…How is it that a person should be concerned about reading something that is now a part of the public domain just because it is still officially classified?